Credit cards make it possible for you to access a large amount of funds and make digital payments in an instant. The flip side to this financial liberty is that unbridled spending can leave you wallowing in a pool of debt. Since debt can drain you, both financially and emotionally, take practical and concrete steps to chip away at it. Here are 6 practical steps to get rid of credit card debt, so that you are on a firmer financial footing this year. 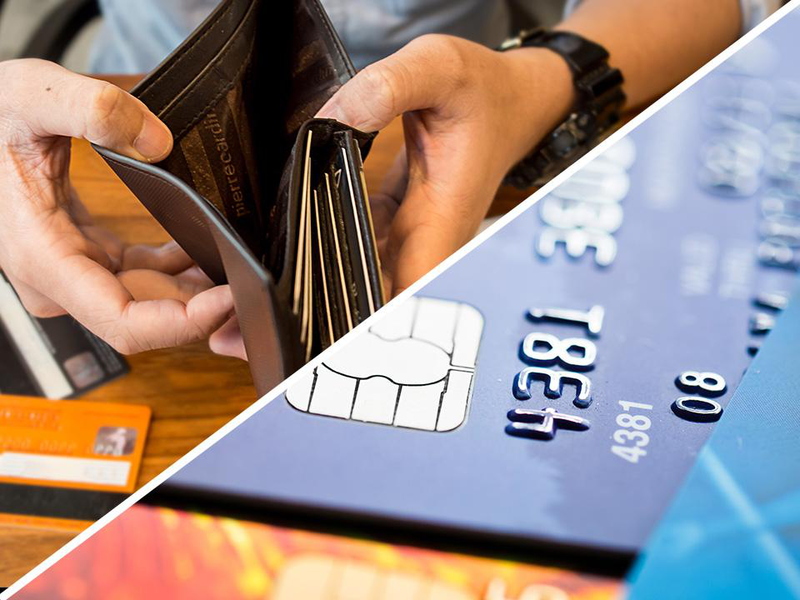 One effective method of clearing debt is by choosing the credit card carrying the highest interest rate and clearing its outstanding amount first. Once you clear this debt, you can gain momentum and clear the smaller amounts sequentially. Another approach could be to clear the smallest amount first. The benefit of tackling one card at a time is that it gives you a morale boost to go forward and tackle the rest. Another smart measure you can take is by applying for a lump sum loan to pay off all your credit card debts at once. By availing a debt consolidation loan, you can put a stop to compounded interest on your existing credit card debts. You can then repay the loan via one EMI every month instead of making multiple payment towards different cards. This makes it easier for you to track and will be cheaper than dealing with high credit card interest on overdues. Choose a debt consolidation loan that is either secured or collateral-free based on the interest you are offered to keep it as pocket-friendly as possible. In certain circumstances, you can also consider redeeming investments like fixed deposits or mutual funds to access necessary funds to pay off your dues. This is something that you need to evaluate carefully by taking the opportunity cost into consideration. For example, calculate to see if you will stand to save more if you close an FD or if you take a personal loan to clear your debt. Credit card issuers specify an amount as a minimum payment. Paying that amount will be sufficient for the month, but the drawback is that the leftover balance will rack up interest. With time, making only minimum payments will see you meeting an ever-increasing credit card balance. To avoid paying interest on interest, set aside money each month by creating a budget and being faithful to it. Use this amount to knock-off the outstanding balance. In some scenarios, it will make good sense for you to use the balance transfer facility to move your credit balance from one issuer to another. This is particularly effective if the alternative issuer has a lower interest rate than the present one. However, before considering this option, you verify the charges involved in doing so. When you need funds dedicated solely for the purpose of debt repayment think about how you can earn from a different source. Consider freelancing or doing a part-time job for a few months to add to your bank balance or see if any of your FDs or mutual fund investments can offer you monthly payouts via non-cumulative options or via dividend funds. When looking for a credit card that helps you steer clear of debt, This card comes with valuable interest-saving options like interest-free cash withdrawals from ATMs for up to 50 days and access to an interest-free loan amount for up to 90 days as well as an EMI conversion option, so you that you can access cash when you need to and spend smart too. You can enjoy discounts and reward on a range of products and can save up to Rs.55,000 on purchases you make using it through the year. The SuperCard/Credit Card comes with security features like in-hand security and zero-fraud liability cover that keep cybercrime threats at bay too. You can make your credit card payments via a choice of avenues like NEFT/RTGS or via the online portal and app. The joining fees are minimal and you can hasten the application process by checking your pre-approved SuperCard offer. Doing so gives you an instant approval and access to a range of customised deals, so get started now and get your financial life to an even keel.